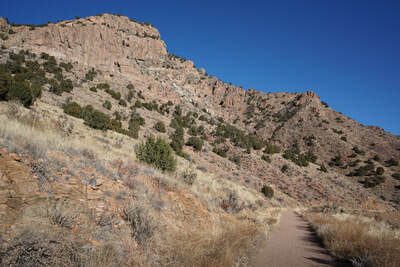 DIRECTIONS: From Cañon City, head west on route 50. 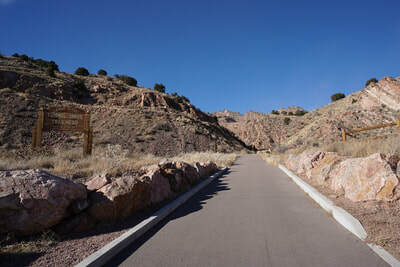 Just after town, turn left on Tunnel Drive and follow it to the end of the road and the trailhead. 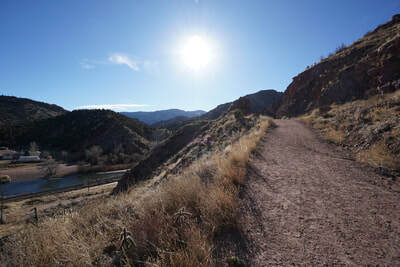 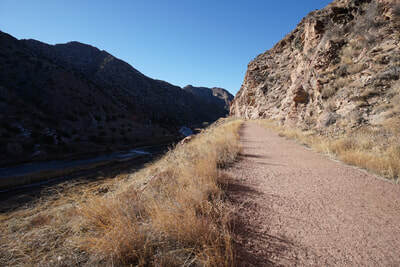 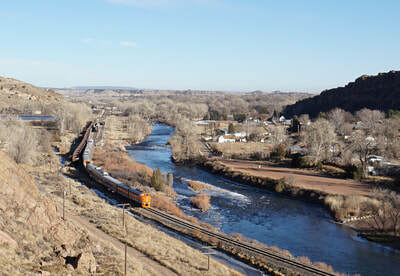 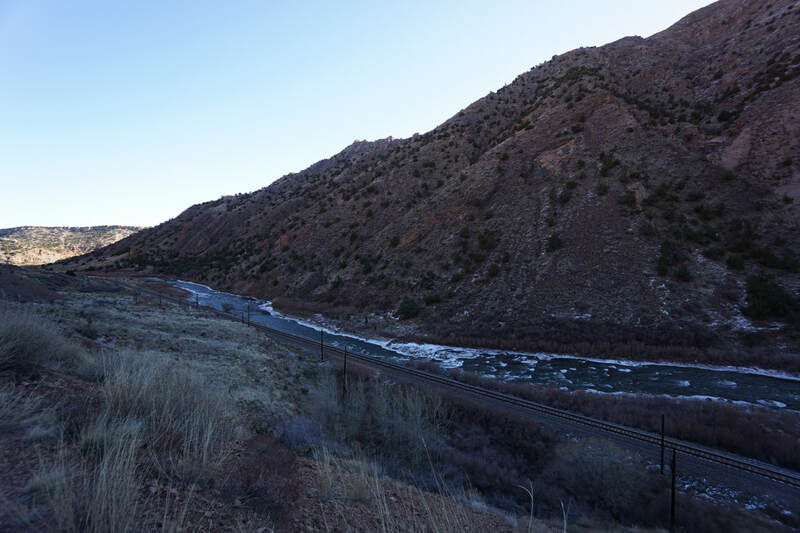 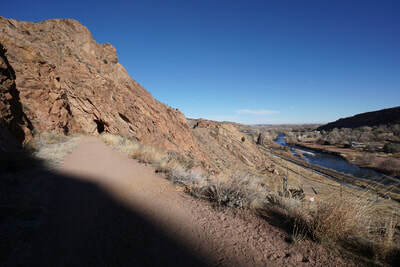 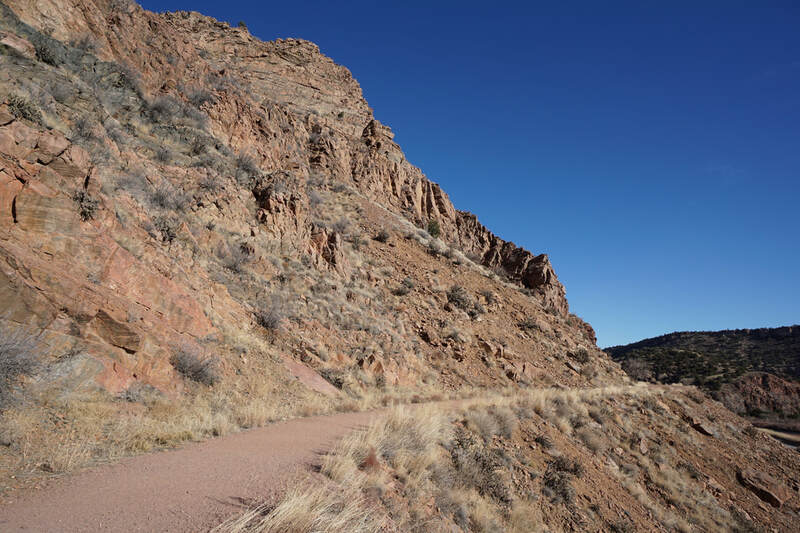 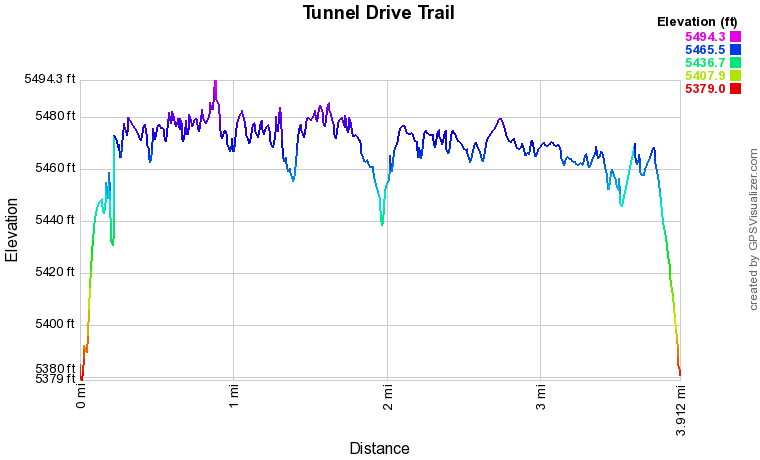 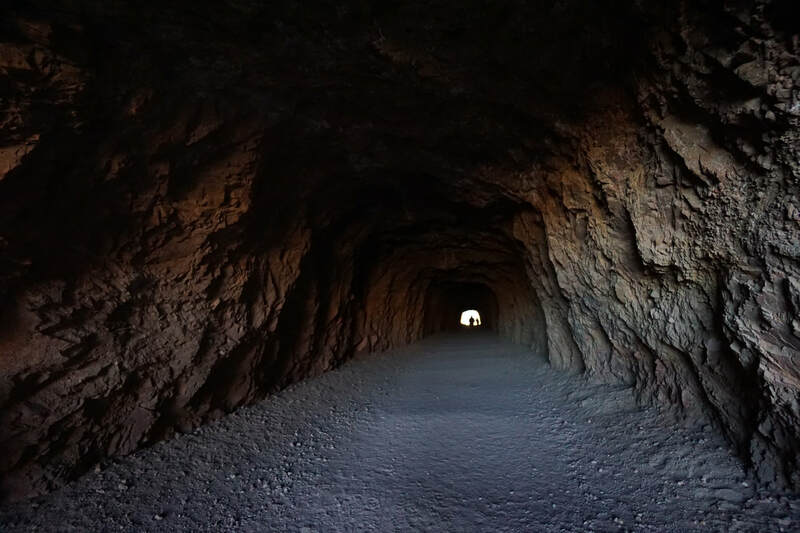 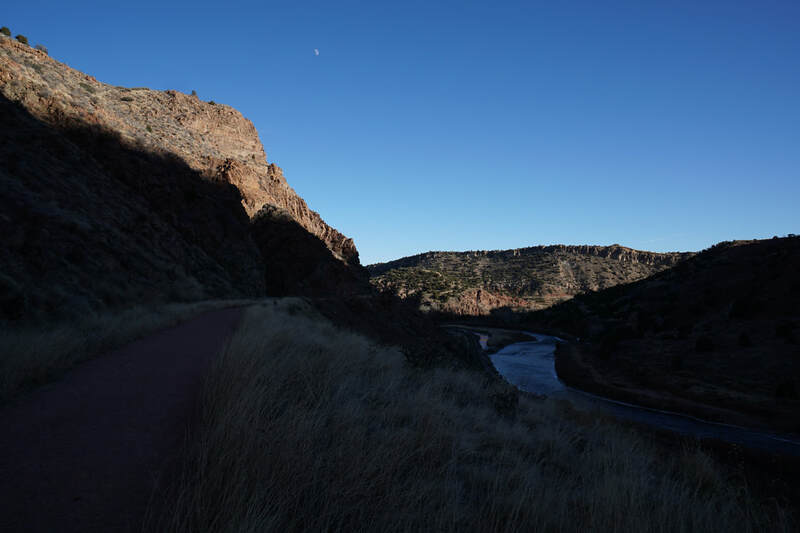 The Tunnel Drive Trail is a favorite fitness trail for Cañon City locals. 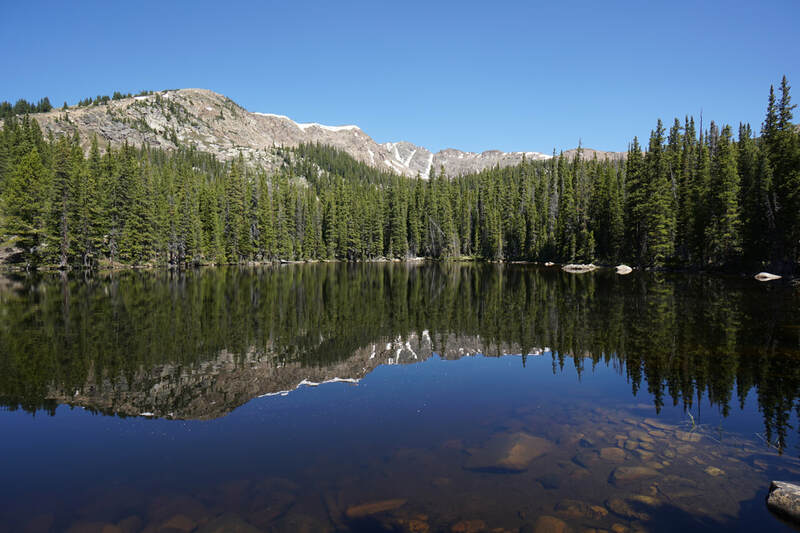 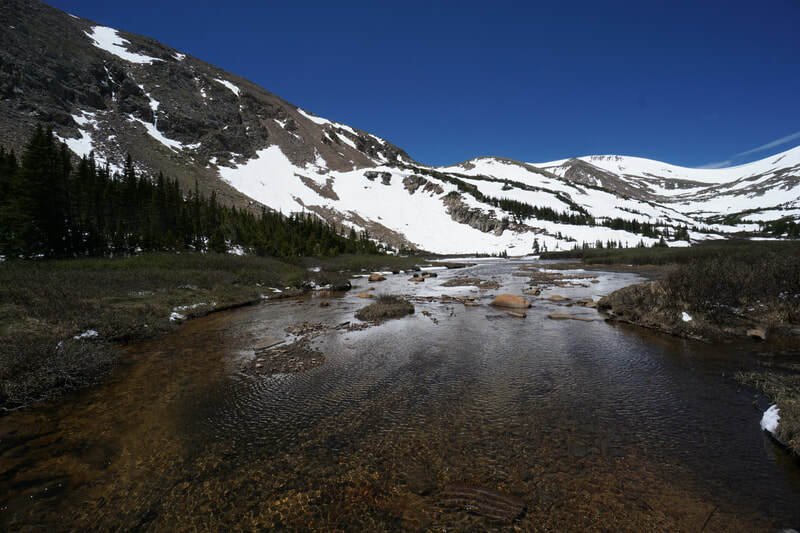 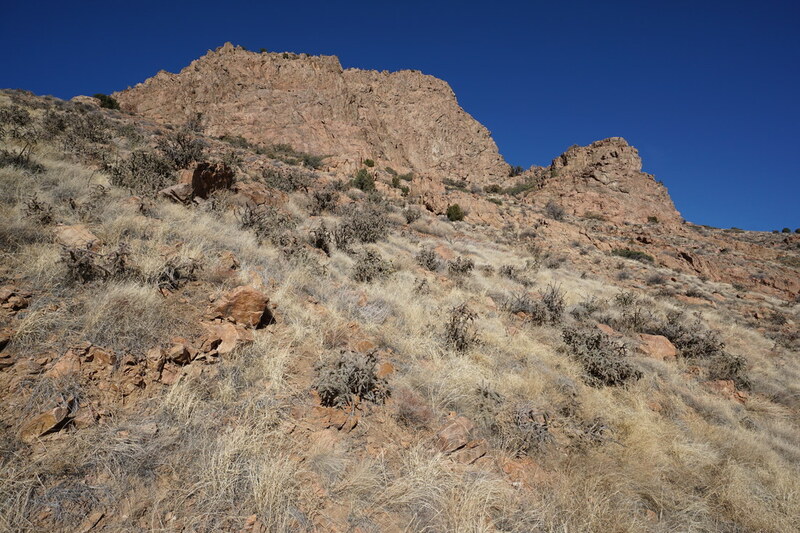 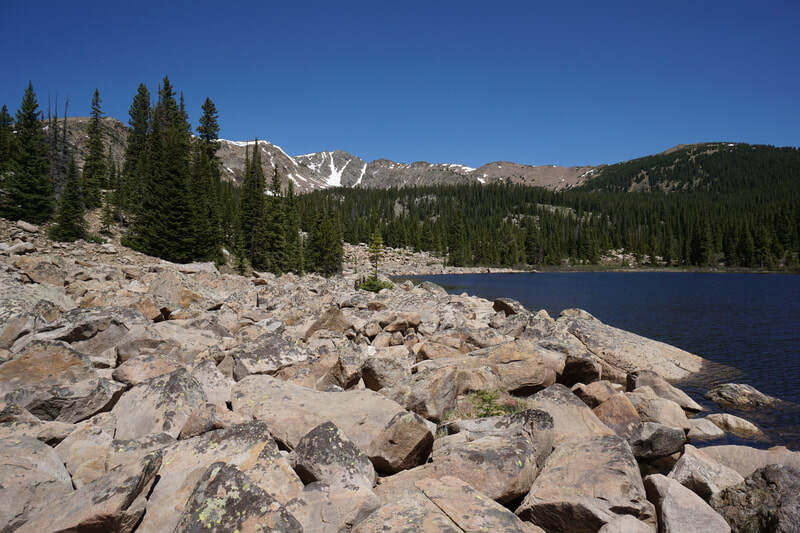 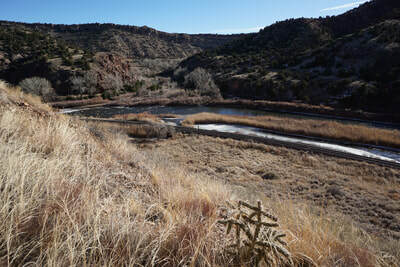 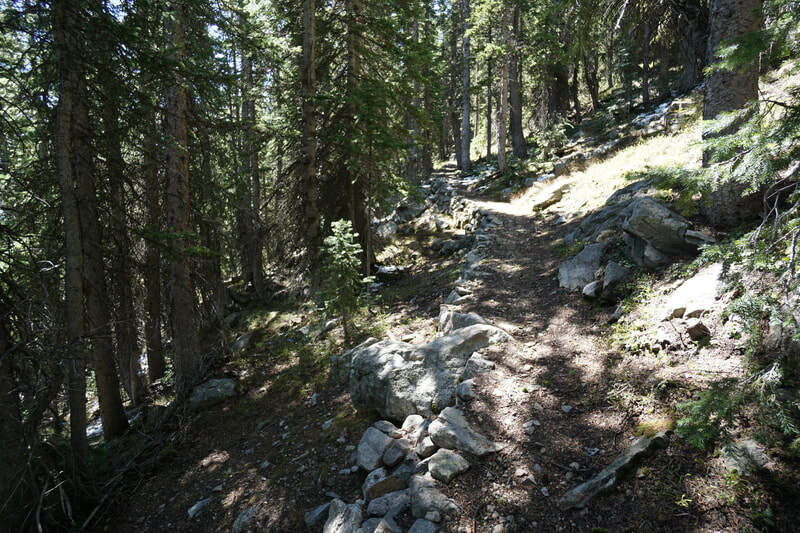 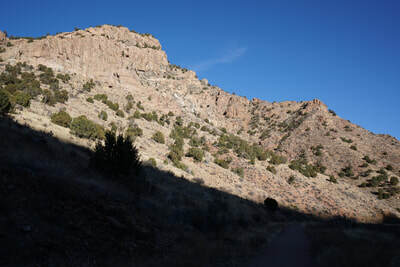 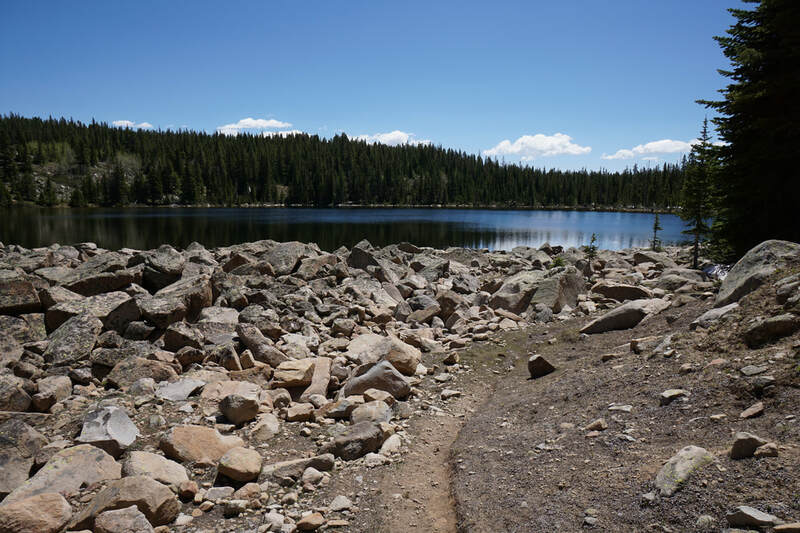 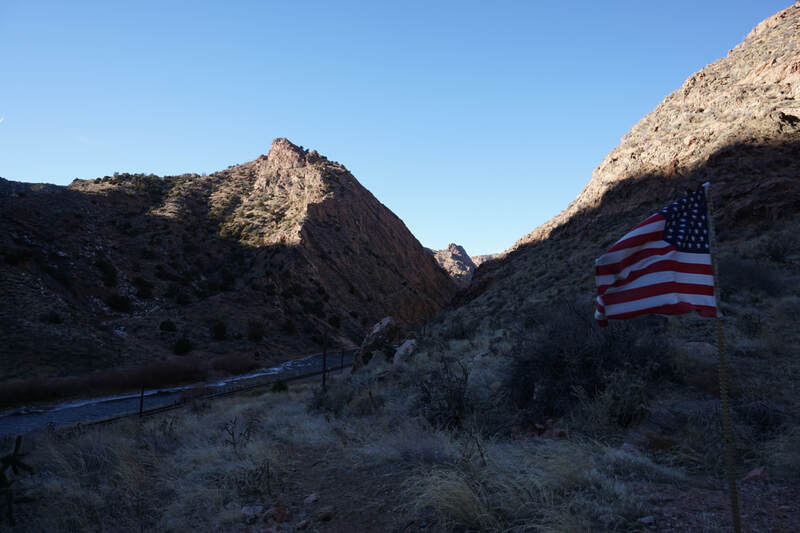 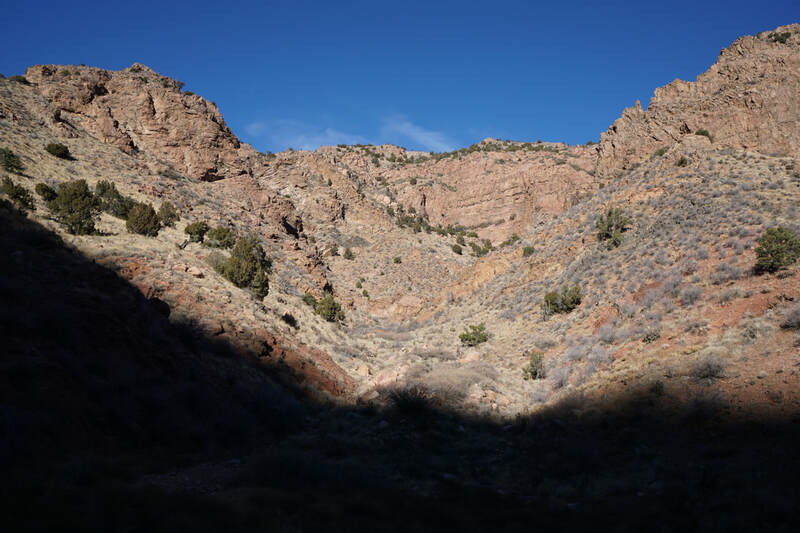 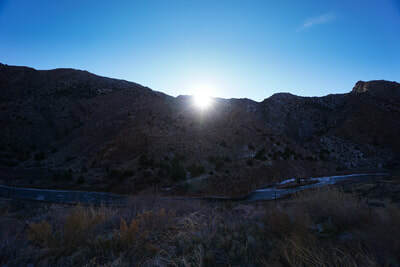 The trailhead is easily accessed just to the west of Cañon City's main street and the trail is easy and suitable for all types of non-motorized recreation and all skill levels. It is also extremely scenic and one of the best ways to experience the depths of the Royal Gorge from below. 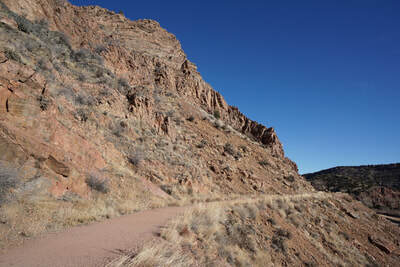 The trail begins by climbing up a short but steep section of paved trail. 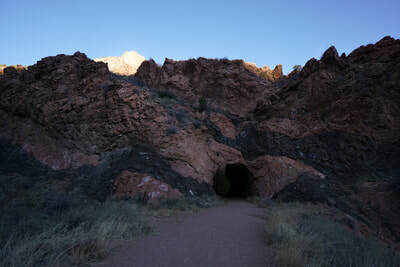 When the trail levels out, you hike through a series of 3 tunnels blasted into the canyon wall. 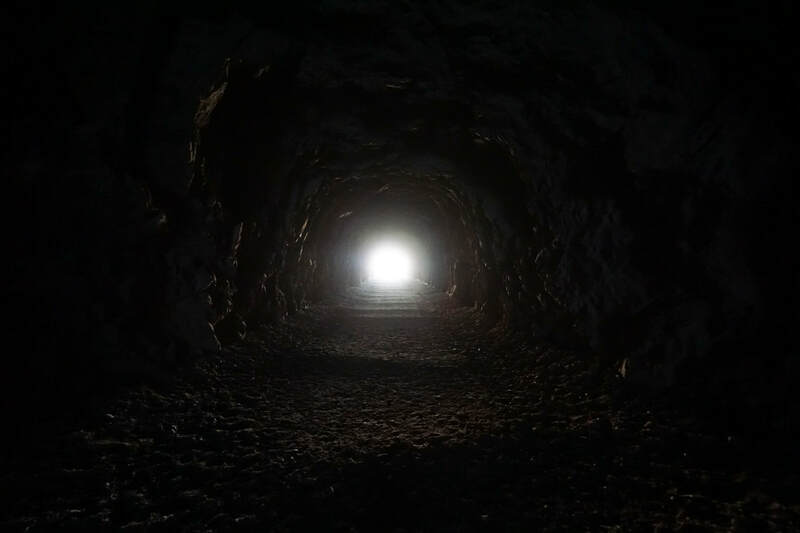 The last tunnel is rather long and if you're not claustrophobic it provides an exciting start to the hike. 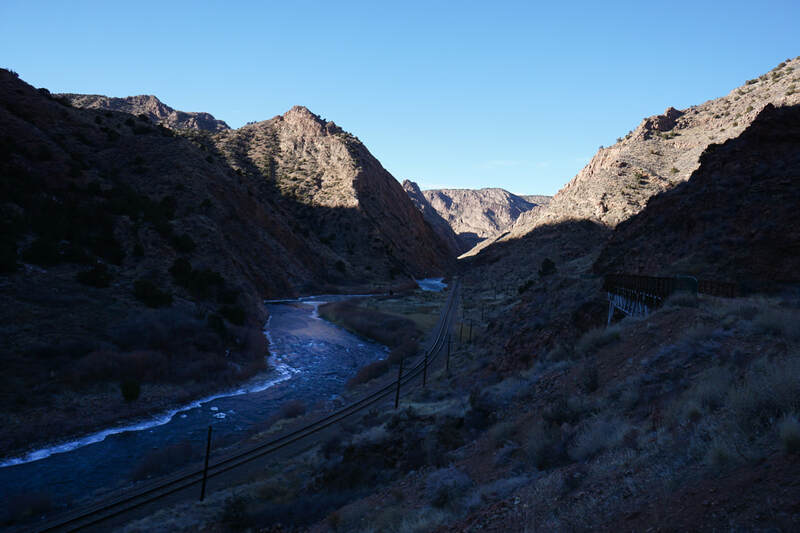 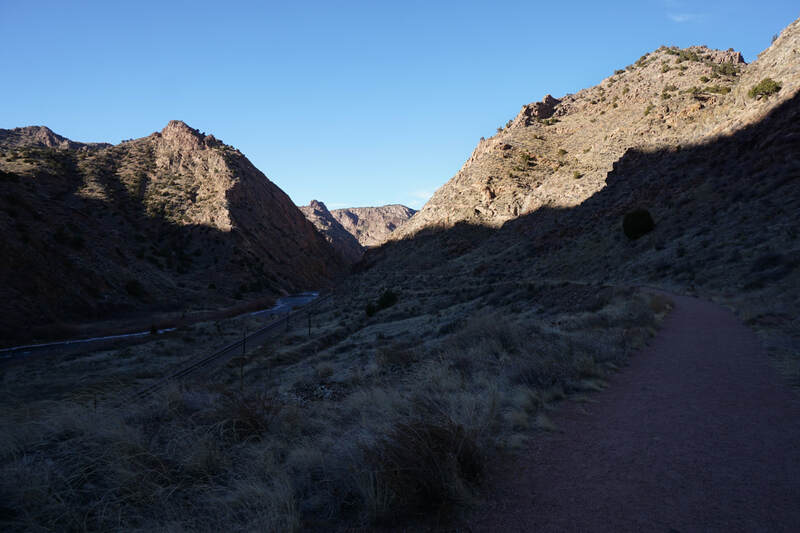 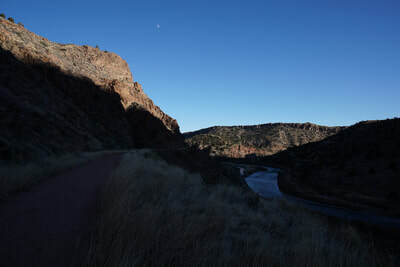 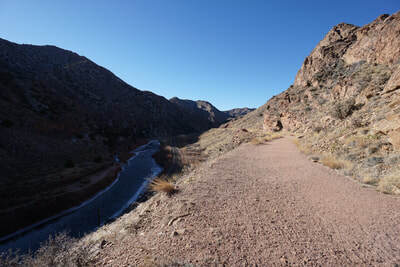 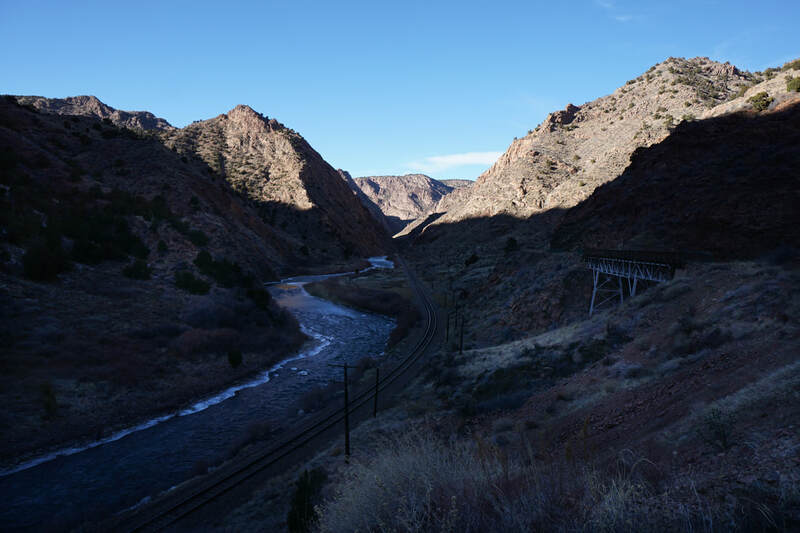 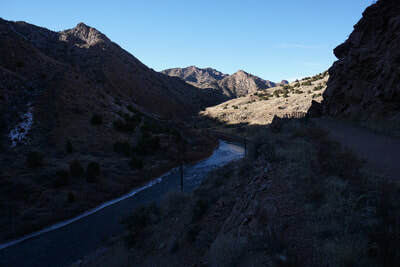 After the tunnels, the trail weaves through the canyon as it follows the Arkansas River and the Royal Gorge Railway below. 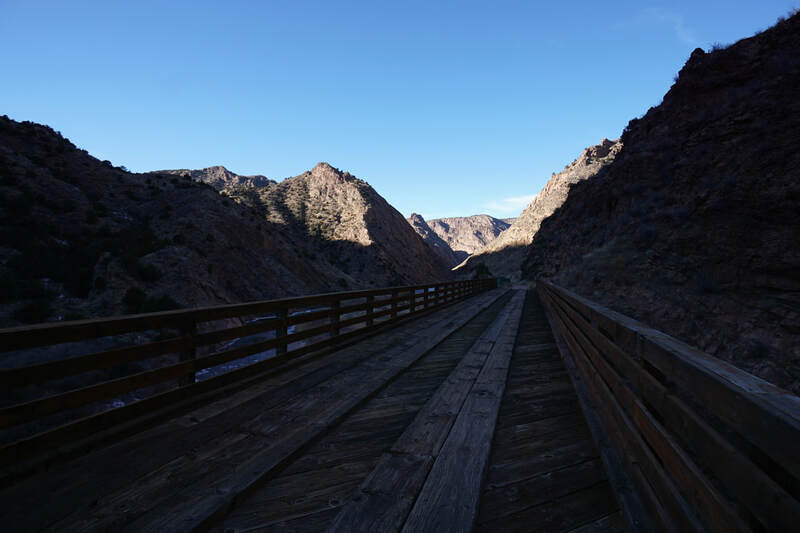 There are a number of scenic side canyons with seasonal waterfalls and various wooden bridges to cross along the way. As you get deeper into the canyon the walls get taller and the jagged canyon peaks in the distance get even more spectacular. 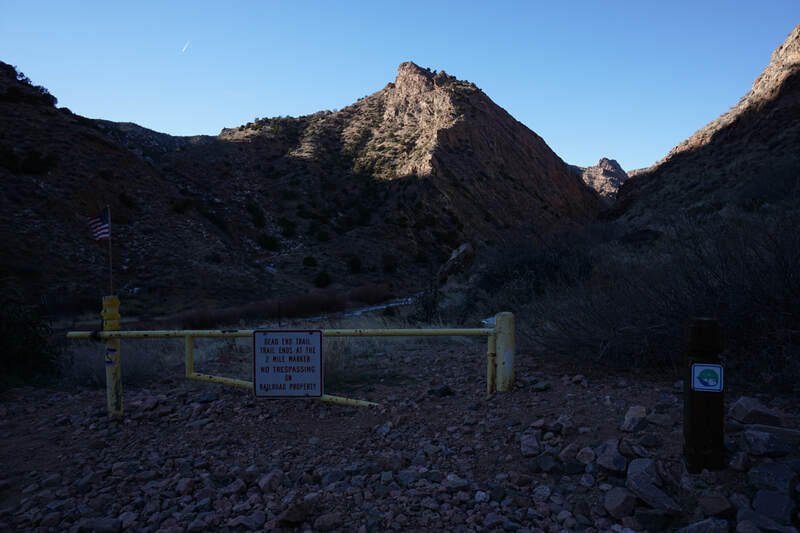 Just when you think the canyon is getting really interesting, as it narrows, the trail abruptly ends at a gate at the 2 mile mark. It looks like some people have continued to scramble through the canyon past the gate but it is not allowed and not recommended as safety is surely an issue. 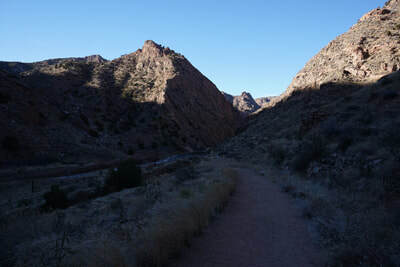 The return follows the same path but provides a different perspective as you retrace your steps and exit the canyon. This is an exciting trail and a great compliment to the trails that explore the canyon rim high above.